Fortunately for the other, is not it. 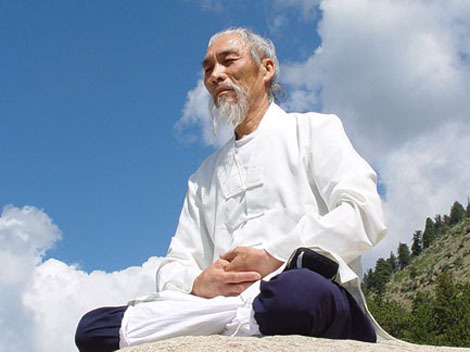 It is true that the various spiritual traditions have used various techniques of meditation and contemplation to achieve spiritual ends, but have exclusivity. In fact, million people worldwide meditate without belonging to any religion. To meditate just to be willing to be better, more peaceful and serene, more present in everyday activities; and perhaps know a little more. Everyone can benefit from this powerful tool, and indeed those most in need are not those who are retired World, but precisely where we are totally immersed in it, with high levels of stress and runout caused by a buildup and chain of tasks and chores, commitments and obligations; conducting the orchestra and a charlatan and egocentric mind that either leaves us with his relentless focus or not chatter allows us to rest. Many people believe that you have to sit to meditate for a long time, at least one hour, and if not you will not get any benefit, will be even “meditating”. Only 15 or 20 minutes of our time is enough to have a good practice, and another important thing is that from the beginning our body and mind will benefit from this delicious practice. You can finar a time of day to meditate, or you can take dead hollow, timeouts. Meditation does not require much time, but perseverance and commitment to oneself. If you can not do it daily, meditate at least 3 or 4 days a week. That will always be much better than nothing. To make a formal meditation, it is convenient and sitting up straight, but not necessarily be in lotus, each must find the position in which you are most comfortable, You can even sit on a stool or chair, always keeping your back straight. Those sick or convalescent people who have to be in bed, may also reflect well. There are other types of movement meditation or active meditations, you can meditate walking, dancing, cooking, painting, making love. Any act, can be a meditative act, is about cultivating the right attitude of silence and careful observation. Although this is about the meaning we find in the dictionary, it is not in the sense of the practice to which we refer. When we meditate we try to observe the thoughts without being dragged by them. It would be like watching a movie, but you do not see it within. Nor is it, or stopping thoughts. But slowing its pace, and what is more important, be aware that the thoughts are there, coming and going, watch, and let them go. If you try to think in, you will feel very frustrated, because it is, I would say impossible. However, sit quietly, and watch your breath as if it were the most important in the world, the future does not exist, and last not, only care about your breath, is what keeps you alive, Send her away and so feel the air going in and out of your body. Thoughts appear, many, but if you do not pay much attention, if you do not just go along with them and come back to the breath, thoughts lose weight and importance and end leaving. Others will, and mechanical be the same. Try to return the attention to the breath, the present, the famous here and now. That is meditation. From the minute 1 when you sit down to meditate you are meditating.